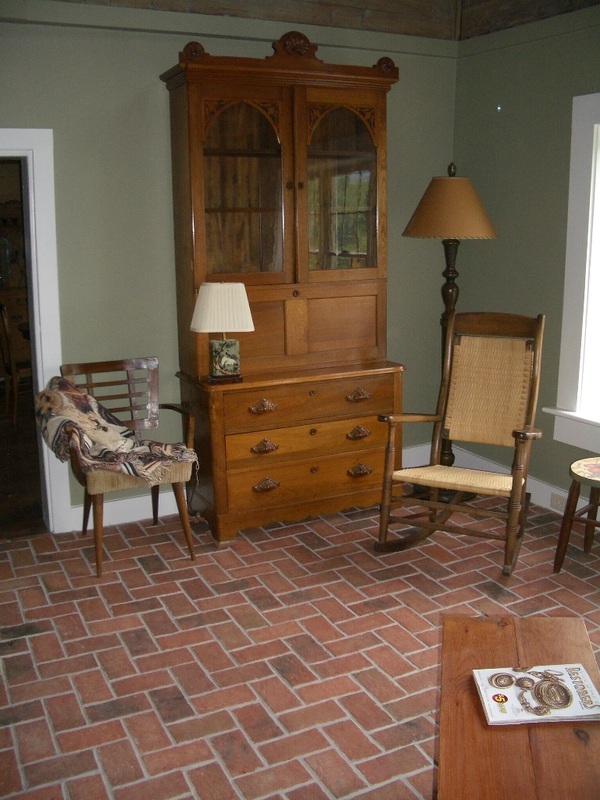 This Parlor floor is made of our Rutherford style, laid in a herringbone pattern. 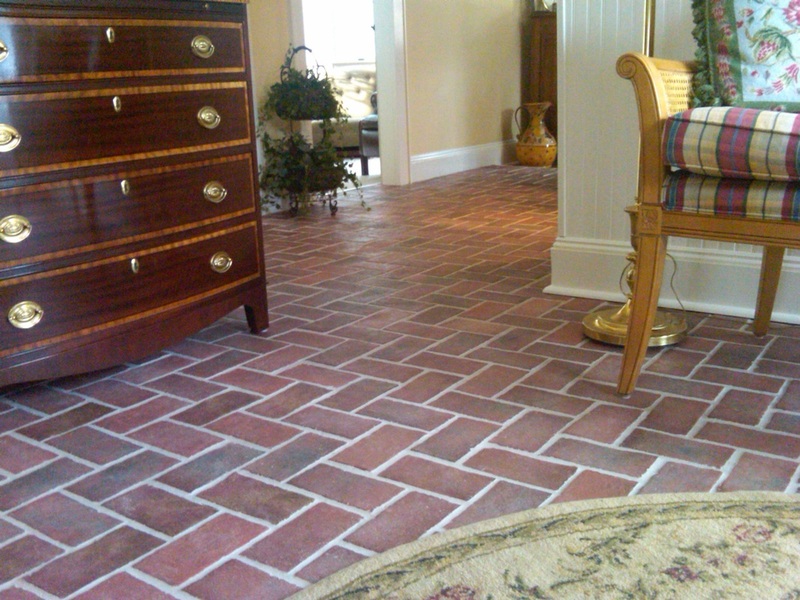 You'll love the look of brick floors in any traditional home. 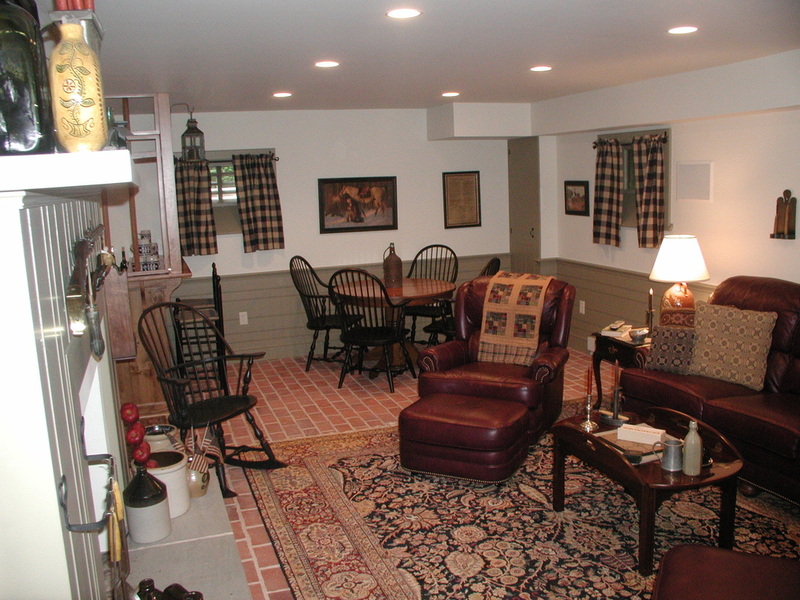 Thank you to the Rineers for this picture of their welcoming family room! 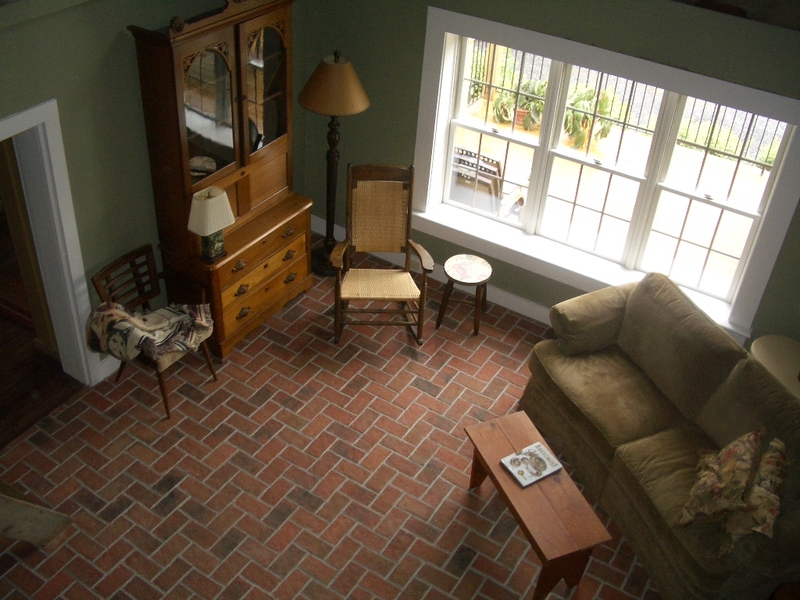 Wright's Ferry tiles in the Marietta color mix are used in this living room. 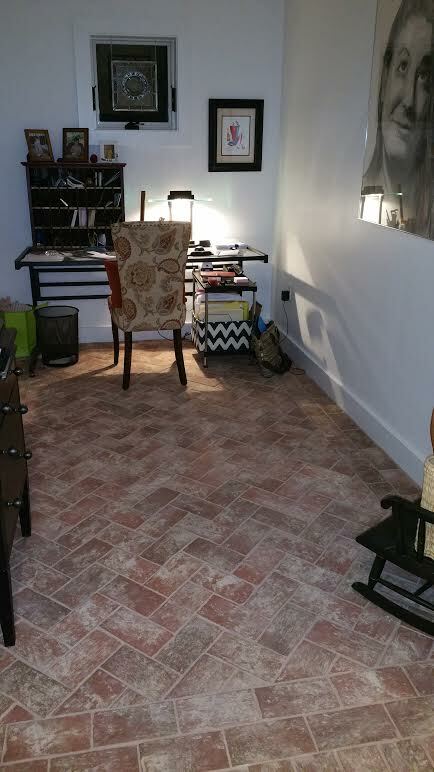 This is the corner of a home office with King Street tiles, off-white clay powder and wood ash fired into each tile.